WIDE was founded in 1999. 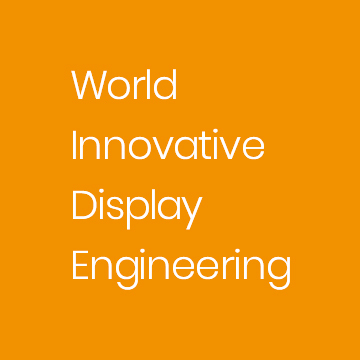 Since then, as WIDE stands for "World Innovative Display Engineering", WIDE has been totally committed to designing, developing, manufacturing, distributing and providing services of special high tech visualization products needed by the customers but difficult to outsource in the market. WIDE also has been investing a lot of efforts in developing new products and new management renovation based on the attitude of growing with our customers by supplying the best solution to them. The display industry which WIDE is involved in is a niche market specialized in Medical and ATC (Air Traffic Control) LCD displays. This specialized niche market is not as big as the commercial display market. However, in order to design and supply the user-friendly products, it requires not only product reliability but also mutual cooperation with the customers. On the base of our consistent efforts and investment, WIDE has built strong organization and foundation of sustainable development that keeps us growing. WIDE has also obtained the world-wide key position in high tech visualization products along with our world-wide distributors delivering their best service and reliability to the end users. In the next 10 years, more challenge and innovation will be needed in addition to the products and technological development of the past 10 years. WIDE Corporation will do its best to deliver the world's best quality products and services to its customers with the spirit of win-win management.